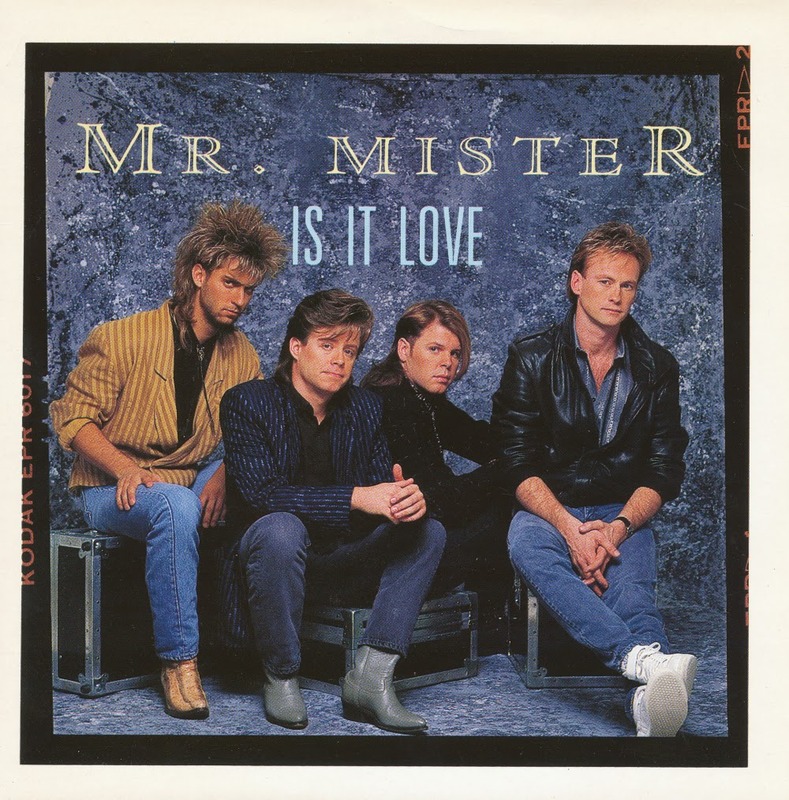 'Is it love' was released as the third single from Mr Mister's 1985 album 'Welcome to the Real World'. The song hit number 8 on the US Billboard Hot 100 singles chart and number 32 in the Dutch Top 40, but only got to number 87 in the UK singles chart. When you compare this single to its predecessors 'Broken wings' and 'Kyrie', you can hear it's a more pedestrian pop/rock effort. Nice song, nonetheless. 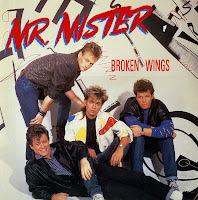 'Broken wings' was written by Mr. Mister band members Richard Page and Steve George with lyricist John Lang, who was inspired by a book called 'Broken Wings' written by Kahlil Gibran. The lyrics 'Take these broken wings and learn to fly again' may be a reference to The Beatles' song "Blackbird." The song's hissing intro was an effect created by the sound of crash cymbal played in reverse. There is a distinct guitar sound in this track thanks to Steve Farris' innovation of the electric guitar, managing to extract a delay effect at an odd timing to create a contrast to the steadiness of the bass and beat. The outro to the song features Page singing very high and lengthy falsetto notes. The single reached number 1 in the US Billboard Hot 100 in December 1985 and number 3 in the Dutch Top 40 in January 1986. Released as the first single from their third album 'Go on...', 'Something real (Inside me, inside you)' was the first indication of a lack of success. The single did reach number 29 on the US Billboard Hot 100 chart, but in other territories the single did not chart. This album did not fare well commercially either. It would become the last album by the band before they broke up in 1989. 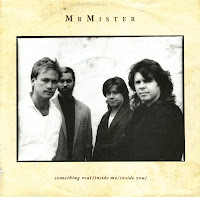 Mr. Mister was formed in 1982 by Richard Page, Steve George, Pat Mastelotto and Steve Farris. Their debut album 'I wear the face' was released in 1984. A year later, their second album 'Welcome to the real world' yielded the hits 'Broken wings' and 'Kyrie'. They were under pressure to come up with an equally successful third album. The band's third album was 'Go On...' (1987), which the band said was "some of the best stuff we ever did," showing a much more mature band and a sound that hinted at progressive rock. 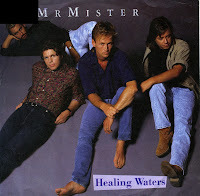 The track 'Healing waters' was released as the second single from that album, but despite its catchy refrain and compelling lyric, it did not chart. A couple of weeks ago, when I visited my friend Puck, he showed me a 12" single he'd bought. It was Mr. Mister's 'Broken wings', which according to the sleeve contained an extended version of that track. I was interested to hear it, but alas, he didn't have a record player to let me hear it. I had no choice but to wait. I thought I might bump into this record myself anyway, and if it was cheap enough, I would buy it. So today I had a chance to visit a newly opened Kringloop shop in Den Haag - a shop where second hand goods are sold for next to nothing. I went straight to the records corner and found... this 12" single. I was happy! Then I heard the track. Well, it's about eight seconds longer than the cd version I have of this track. And even that may be attributed to the fact that it was pressed on vinyl (cd's usually fade out a little earlier, especially in the Eighties). I don't know what the record company was thinking. Or better still, I did know: false promises always lead to sales.